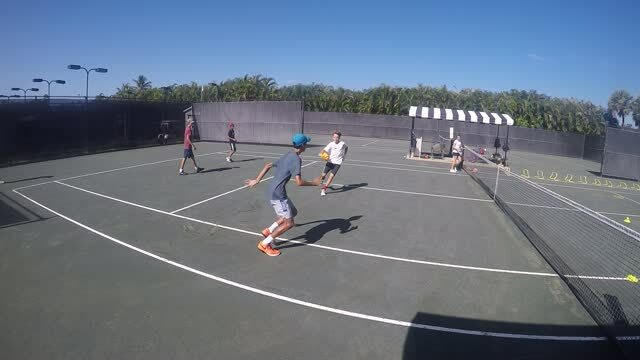 Veres Tennis would like to introduce Skill Development Programs in Palm Beach County's school district, (done for decades in certain European nations) for younger ages in schools and kindergartens, on school premises to reach out to broader audience. The first part of the program is to assists school teachers to learn the general concepts, and provides teaching aids, such that training cycles can be repeated by the schools. Veres Tennis provides inexpensive teaching aids and manuals, through set distribution channels. The goal of this project is to expose more children to sports and physical activity at an early age, which can help discover talent or just set youth on a active lifestyle path. The program is not sport specific, introduces kids to general skill development, that will later help determine what sports might best fit young athletes as well as giving them a physical literacy foundation. This will also be an integral part of a healthy lifestyle, encouraging children to participate in physical activities that enhances motor skill development. Our staff consist of educated and experienced teachers led by Nandor Veres SR, co-founder of National Gifted Athletes Sport Center in Hungary. The skill development in school is a government program in many European countries, it is dedicated to assist skill and cognitive function development for children up to age 14.